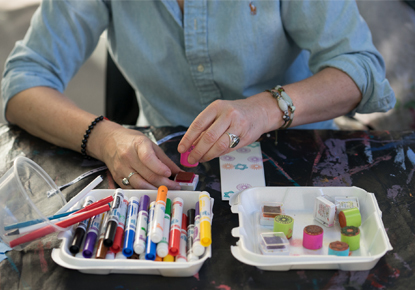 Wednesday, Feb. 20, 2019, 3 – 4:30 p.m.
An ink spill could be a small mistake or it could be the start of a big idea! Explore the STEM practice of mistake-making & iteration by creating artwork inspired by Corrina Luyken’s The Book of Mistakes. Library events and programs are free and everyone is welcome. Registration is not required. For children ages 5-12.